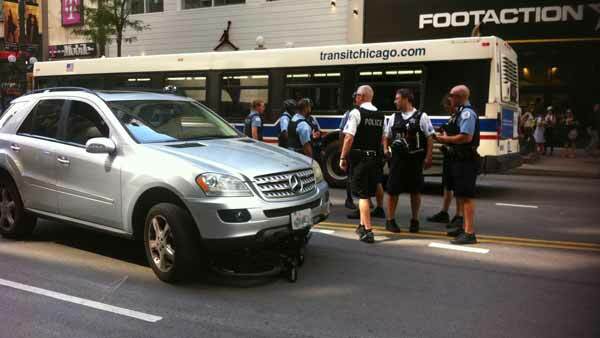 CHICAGO (WLS) -- A Chicago police officer was struck by an SUV while on bike patrol, police said. The officer was struck Tuesday near State Street and Monroe Street while responding to a fight in that area. Witnesses said there was a fight outside a retail store on South State Street and the bike patrol officer was cycling against traffic to reach the scene before he was hit by the SUV. The driver of the vehicle was taken into custody, according to witnesses. The condition of the officer was not immediately known.